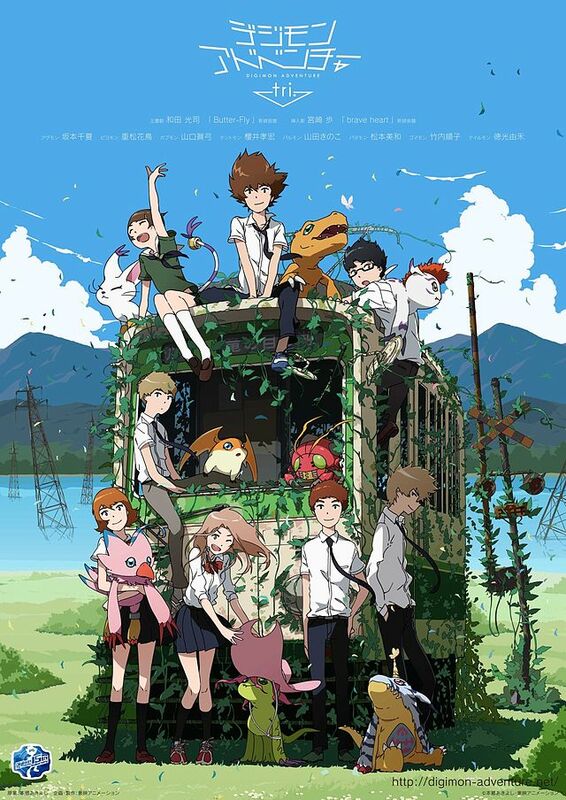 “Digimon Adventure” is coming back for it’s fifteenth anniversary. 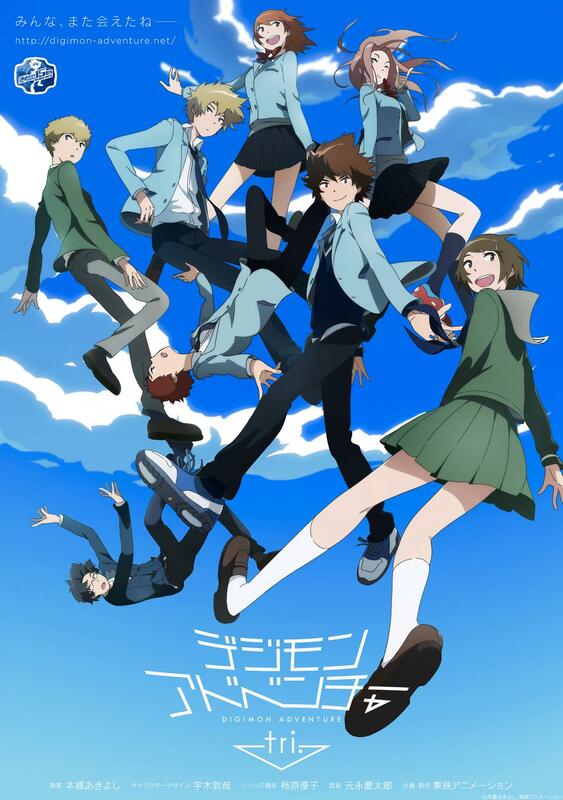 In a nutshell, the producers and creator of the original “Digimon Adventure”, “Toei Animation” and Akiyoshi Hongo, are all on board in giving us a continuation of the original Digidestineds. Although the much anticipated release wait couldn’t come any sooner for fans, the franchise can’t seem to find an appropriate date for them to release the new series. They’ve rescheduled time and time again. But now we have hope. Looks like the new date is set to be on November of this year. There will be six films to this new series, and from the looks of the animation, its pretty Digimazing! I’m a complete fan to the type of art style portrayed in their teaser. Other films that I feel have that same animation are “The Girl Who Leaped Through Time”, “Wolf Children”, “Neon Genesis Evangelion/Rebuild of Evangelion”, and pretty much anything “GAINAX”. 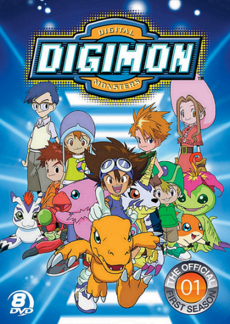 Although rivaling way back with “Pokemon” in the mid to late 90s and early 2000s, “Digimon” had it’s unique flare to it. The story had a tense vibe to it, thus giving more a mature feel to their TV show adaptation. By now you could distinguish between the two franchises but back when we were eleven and twelve, we were all guilty of war on which was the better franchise. To be honest, I really think this is what we needed in today’s generation of reboots, especially in the anime scene. The countless hours of binge watching the original series on Netflix and the many fanfiction stories being read by geeks and weeaboo’s alike, all wanting just a tad bit more of their nostalgic past to flutter into today’s society of geek acceptance, have all now been fulfilled. 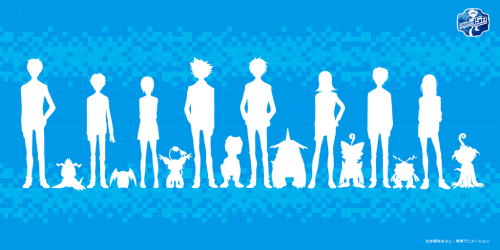 Below you’ll see a link to the new “Digimon Adventure” 15th Anniversary website. Make sure to check out the trailer that’s posted as well. I promise it’s no disappointment to its lucrative name that is “Digimon Adventure”.